This article originally appeared online at TeleSUR, here. 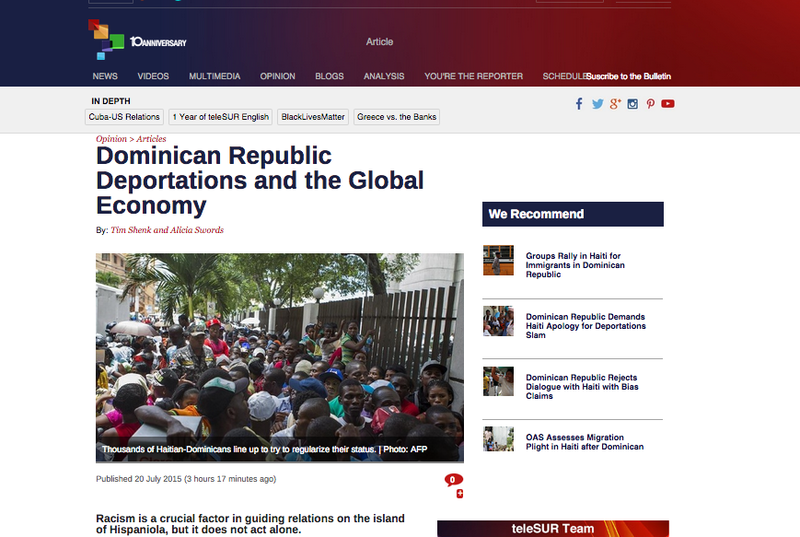 The Dominican Republic has been in the international press in recent weeks regarding threats of mass deportation. Those in danger of deportation are Haitian immigrants and especially a now “stateless” population of roughly 210,000 people born in the DR of Haitian descent who in 2013 were denied the rights of jus solis citizenship and relegated to a long-term “in transit” status. Articles have appeared in The Washington Post, The New York Times, The Guardian, The Nation and many other publications and blogs, leading up to and after the June 17 registration deadline for those with irregular status. In focusing on the most recent ‘news,’ most articles on the Dominican deportations miss some very important ‘olds’ — that is, the history of the island and its relationship to the global economy.